I believe that running is one of the greatest activities on this planet. At its base, running is simple; but racing is complex. My name is Tom Casper and Kristen Griffin taught me how to race. In March 2015, I decided to run my first marathon and after six months of training, ran The Marine Corp Marathon in October, 2015. I finished in 3:56:13 and while I had accomplished two of my goals (1:Finish, 2:Sub 4) it opened up a whole new set of expectations for myself. Two years later, I ran the Milwaukee Lakefront Marathon in 3:23:35, more than 32 minutes faster than Marine Corp. The difference? Kristen Griffin. Kristen did not teach me how to run. She didn't have many recommendations regarding my form or stride. Instead, she taught me how to race. She helped me to understand and overcome the mental barriers that arise both during training and in the actual event. She worked with me to increase my VO2 max and improve my lung capacity. Most importantly she was a constant source of positive support. Kristen is an amazing coworker, running partner, coach, and overall person. I will continue to train because Boston is just another 20 or so minutes away. She was essential to my success at Lakefront and will continue to be heading into and beyond 2018. At its bases racing is easy, when training correctly. From day one, Kristen encouraged me to challenge myself and test my limits. I have been very impressed by her passion to help clients, her knowledge, and her ability to connect to clients. She provided a workout plan that included a good balance of running, speed work, and cross training. Kristen was very responsive via email and phone with any questions or concerns I had while in training. 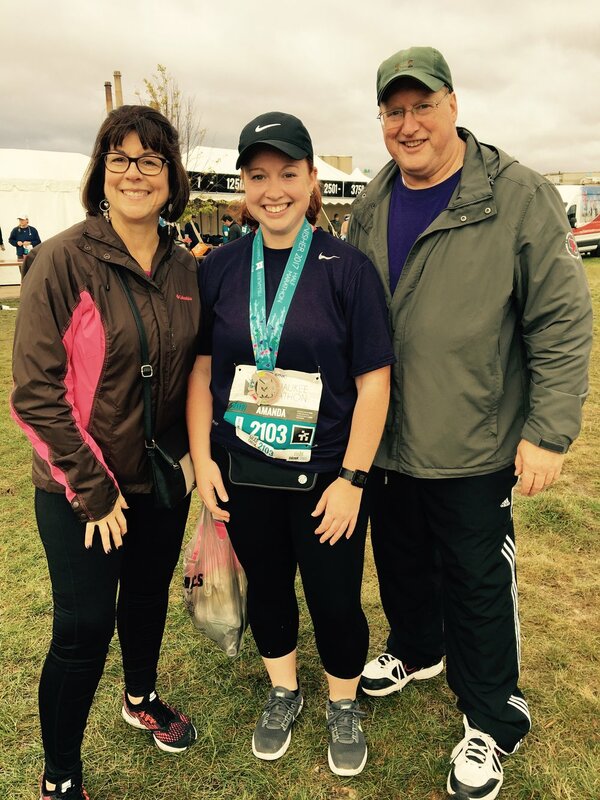 After completing my first quarter marathon in late June, Kristen challenged me to set my next fitness goal. A week later I signed up for my first half marathon for October. Over the next 16 weeks, Kristen worked with me to customize my workout plan to increase both speed and distance. The level of support and encouragement she provided me while in training was inspiring! As of October 15, I have completed my first half marathon and was able to crush all three of the goals I had set for the race. I may be the one that ran the race but I wouldn't have made it without Kristen's assistance and motivation. I can't wait to set my next goal and see what the future brings! 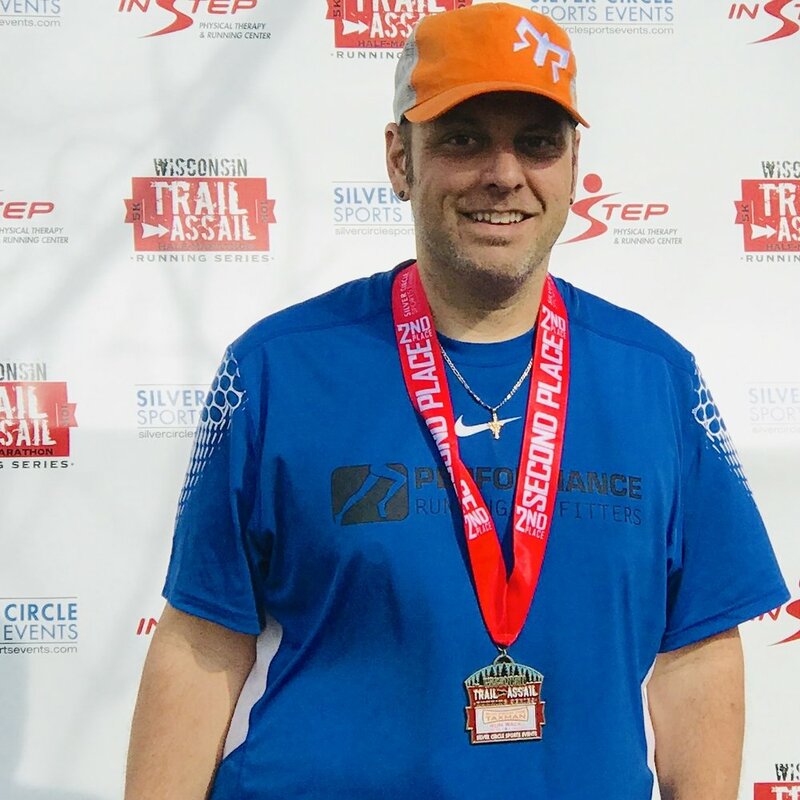 This past summer, I signed up for a variety of races ranging in distance from a 5k to a 25k both road and trails and a trail Ragnar thrown in for fun. My goals were not only finishing some new distances but also improving my times throughout the summer. As always, Kristen came through with a plan tailored to me. She has always taken the time to understand me and how my mind (and body) works. She doesn’t use cookie cutter plans and recognizes that every one of her clients has different goals and needs. She figures out how their mind works, how they train best, and just the right type of motivation. All runners are different. Some like tough love, others need a cheerleader and some of us need both. She has learned how to help me with what I need during my training. She is always a text message away allowing me to share good news about a training run or being there for me when I need to tell someone who “gets it” just how bad the training runs are going. I have worked with Kristen for 4 years and my knowledge as a runner has grown immensely. She has helped me return from injuries, build proper strength and form and has helped me continue to surpass my goals.